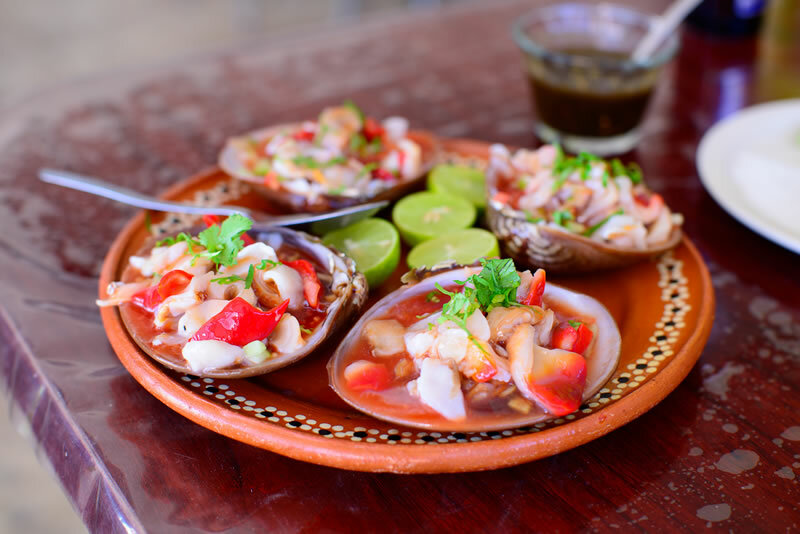 The Chocolate clam (Laevicardium squalida) is one of the most important bivalve fisheries in Baja California Sur. And is Loreto’s gastronomic tradition, a famous heritage passed from generations, that has become one of the fundamental fishing activities for the local economic development. Like for many other species of the bay of Loreto, the best practices of a sustainable fishery should be used for this natural resource to last on to the future generations, with marine ecosystems properly balanced. Now in its third year, the National Institute of Fisheries (INAPESCA), through the Regional Center for Fisheries Research (CRIP – La Paz), is carrying out the project that will set the scientific groundwork for the management plan of the chocolate clam. Local Fishermen along with the technical staff of Eco-Alianza de Loreto and Pronatura Noroeste A.C., are also collaborating in this effort. From 2014 to 2017, the CRIP has organized four forums, engaging almost all the fishing cooperatives involved in the fishing and gastronomic exploitation of this natural resource. This spaces of collaboration and participation are workshops that had helped construct the dialogue among stakeholders. But also, had become a way to communicate and report the scientific progress on the results of the biometrics and histology of the several chocolate clam banks of the bay of Loreto. Eco-Alianza de Loreto together with the fishermen takes care of collecting the chocolate clam sampling. This happens during the last week of each month; with two field trips at two different sites: “Juncalito” and “El Mangle”. For each sample, formed by a selection of 40 chocolate clams, the process involves registering the length and weight of each one. One of the most important parts of this process is the analysis of the clam’s gonad, this will help define the reproductive cycle of the spices. The responsible Loreto’s Gastronomic Tradition consumption of the chocolate clam needs to go side by side with the science method to collect and analyze information about the many aspects of its biology, ecology, and dynamic population. 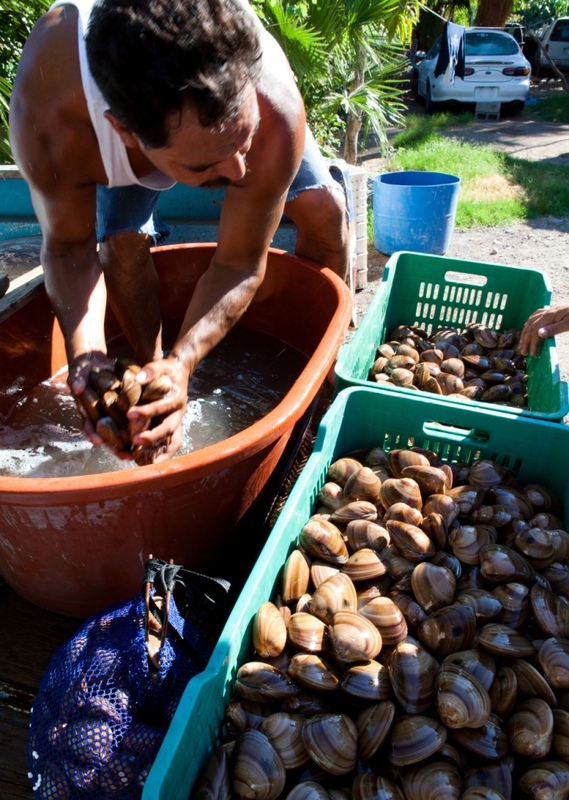 The final results of the study, taking place from 2016 to 2017, at every chocolate clam bank along the coast of the Bay of Loreto, will be fundamental to define the status of this marine and gastronomic resource.